Arm yourself against the cold and be comfortable in a Star Wars Stormtrooper Hooded Onesie from Entertainment Earth!. Experience how it feels like to be an Imperial Stormtrooper without the hassle of not being able to fix wedgies and the discomfort of metal armor. Fight boredom and watch the new Star Wars: The Force Awakens movie on NETFLIX while being warm and toasty in a Star Wars Storm Trooper Hooded Onesie. I would. 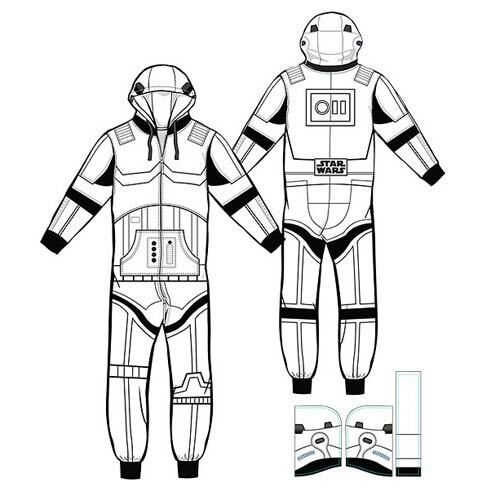 Order Star Wars Stormtrooper Hooded Onesie from Entertainment Earth!